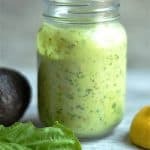 Protein Packed Avocado Ranch Dip combines nutrient dense avocado with hemp seed, traditional ranch seasonings, and greek yogurt for a healthy and delicious dip! I am in back-to-school mode here, trying to find interesting foods to pack for my kids when they start school next week. Oh and the husband too. He started work this week and I need to send him to work with healthy eats. So I tried this one. 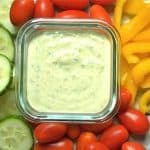 My kids LOVE ranch dip. The kind in the envelope with MSG and a host of other ingredients I don’t like. 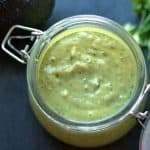 I’ve made homemade ranch several times, and let me tell you, it’s so easy! Like STOP-BUYING-RANCH-SEASONING-PACKETS easy!! I promise guys, and it tastes so much better than the store bought stuff. But for this one, I wanted to add the green goodness of avocados. Avocados are my favorite source of fat and fiber. Seriously, if I go more than a few days without one, I can tell the difference in my body. I love what it does to my skin, digestion, and many other things. 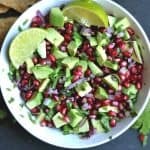 I am always trying to add avocado to random things because my kids “claim” they don’t like it (although they can pack in the guacamole). This one worked! I served it as an appetizer to dinner. We do fresh veggies almost every night before dinner. 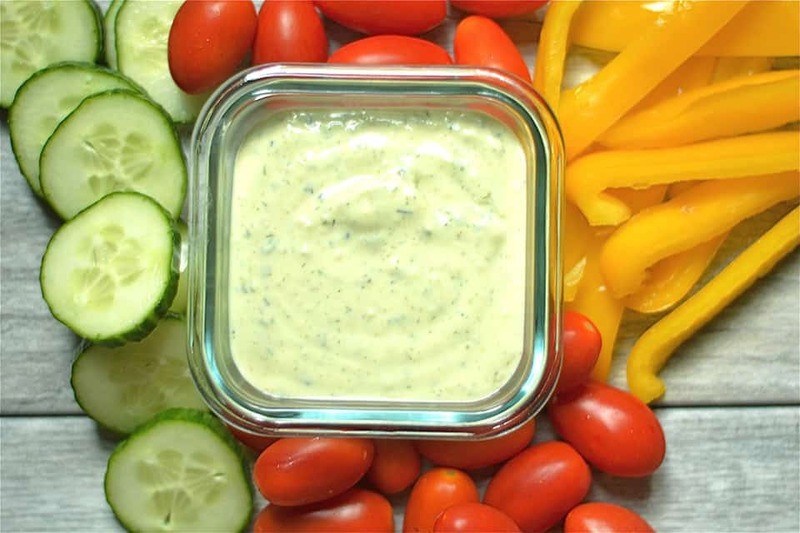 This holds them over, and is a great way to make sure they have plenty of vegetable servings. I’m excited to use this one in their lunchbox next week! I have a few other dips I am trying the next few weeks, so stay tuned. Here is what made this dip awesome (besides the avocado): I used greek yogurt with a little sour cream, and hemp seed as another source of healthy fats and protein. Feel great about serving this one to the whole family! One more thing about this dip. It probably won’t last in the refrigerator for more than 2 days. Try to enjoy it quickly! 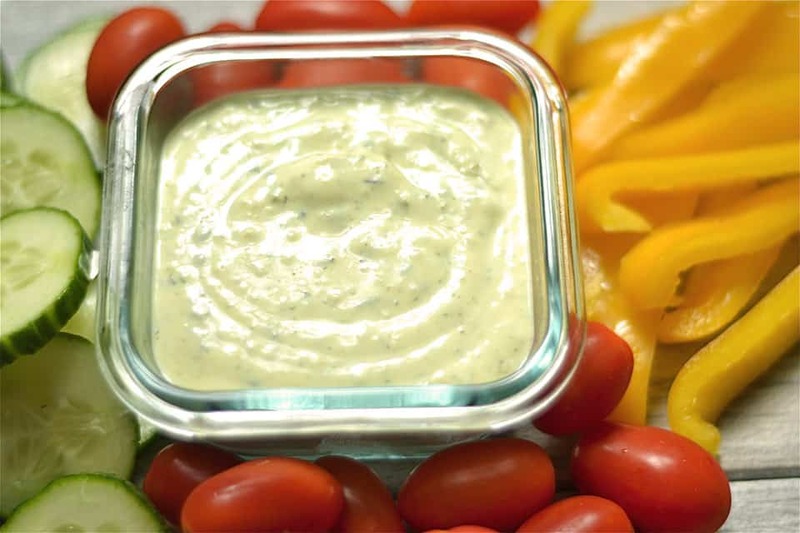 Serve with vegetables as a dip, or even as a spread to a sandwich. Combine first seven ingredients into a small bowl and mix well. Add yogurt, sour cream, avocado, garlic, lemon juice, vinegar, hemp seed, and water into a food processor. Pulse until almost smooth. Add in dry ingredients and pulse until completely smooth. You may need to add in additional water to desired consistency. This dip will only keep well for 2 days.